Home » Data Science » Blog » Data Analytics Basics » What is Minitab? 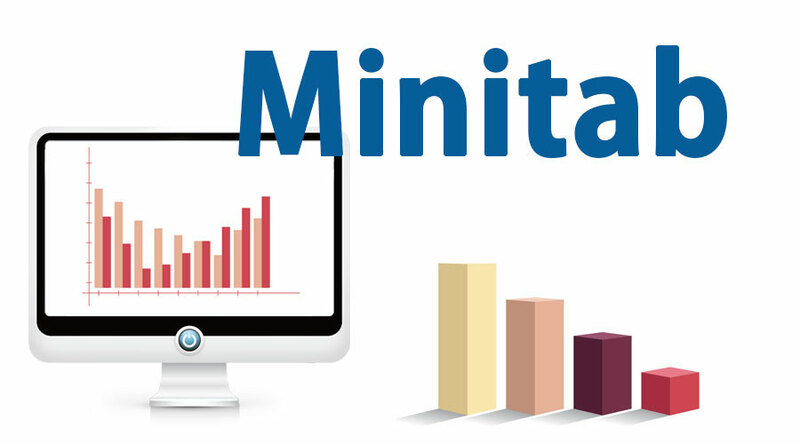 Minitab is a tool that helps six sigma professionals to analyze the data and help in improvising the business process. 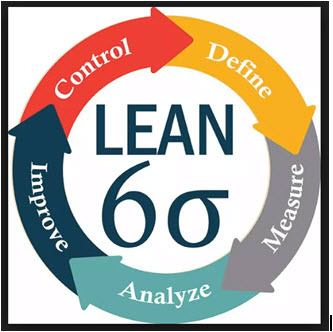 Let’s first understand the six sigma and what all is expected from six sigma professionals. To identify the pain areas in the existing processes. Implement the strategy which was agreed. Various elements available like Scatterplot, Boxplot, and histograms, which collectively can help six sigma professionals to provide the descriptive statistics of the problem. In short problem solving becomes easy and faster with Minitab. A question arises: Can’t we use MS excel? Why we need Minitab rather? MS Excel is very good for summarizing and analyzing the data. You can perform sorting, highlighting etc. here. But when it comes to statistics and specific mathematical functions, Minitab is the choice. Even the visualization which is specific to statistic context, It offers in a better way. The only thing you need to do is, provide clean raw data, and a few clicks can get you beautiful charts. For example the Pareto chart. In MS excel drawing it is a nightmare, but in Minitab, that’s easily available. When you have many worksheets and too many charts, that could look cluttered in MS Excel. While Minitab has an option of “Project Manager”, which can help you toggle between spreadsheets, charts and statistical output. MS Excel is a general tool, flexible for use with an extensive variety of applications. However, Minitab focus area is improvising quality of process/product/services with help of statistics, hypothesis testing, statistic visualization etc. MS excels can be used by anyone who wants to understand data or may want to perform some basic steps. Minitab on other hand is a powerful statistical software package, can be used 0well by a statistician or some analytical person. 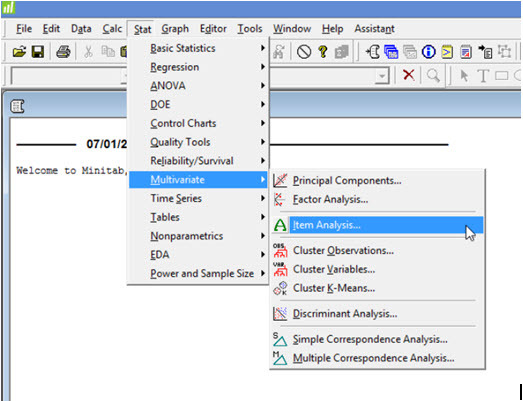 Session window: This is the topmost window, where Minitab will show the output of your requested statistical analysis. 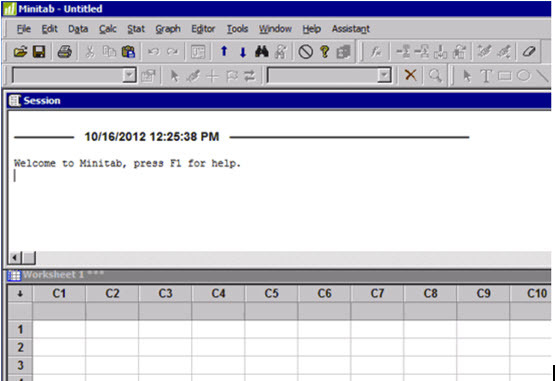 Worksheet window: This is the bottom window, where data is copy pasted into a worksheet. Graphics window: This is the type of window which is not seen when Minitab opens. This comes only when, Minitab is asked to plot something e.g. Scatterplot, histograms etc. So this is the graphics window. Basic Statistics: This Feature of Minitab covers all kind of statistical tests, descriptive statistics, correlations, and covariances. Graphics: This enables users to draw various statistical graphs such as scatter plot, histograms, boxplots, matrix plot, marginal plot, bubble chart etc. 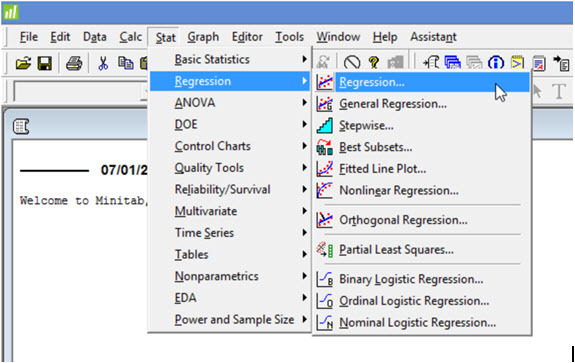 Regression: This feature of Minitab enables users to find the relationship between variables (which is a key feature of any statistical tool). Regression is available in form of linear, non-linear, ordinal, nominal etc. Analysis of Variance: Analysis of variance i.e. 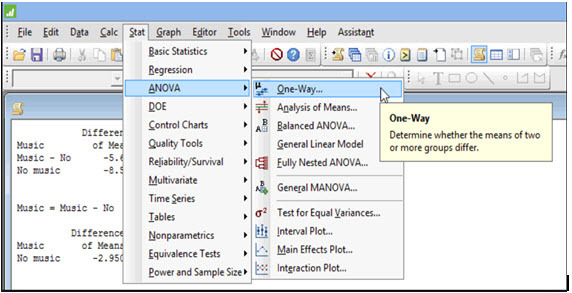 ANOVA is used to analyze the difference between the group means. Statistical Process control: This feature of Minitab helps you create cause and effect diagram, variable control charts, multi-variate control charts, time-weighted charts etc. Measurement System Analysis: MSA is a mathematical method to determine the amount of variation that exists within a measurement process. Variability in a process can directly impact the overall variance of a process. 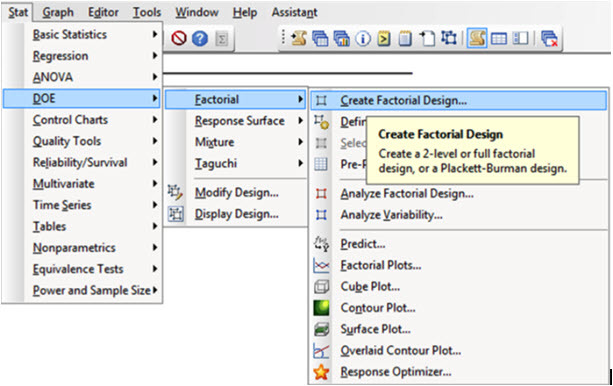 Design of Experimentations: This feature of Minitab helps you identify the cause and effect relationship. This helps in creating and experimenting various designs by noting down all its relevant outputs. This helps you on finalizing a certain method and optimizing it. 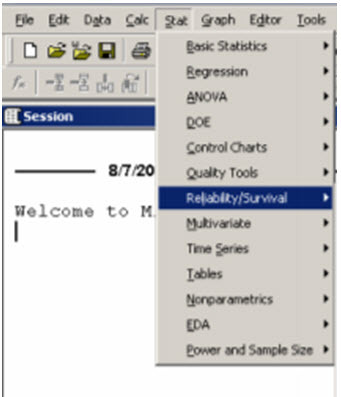 Reliability/Survival: It enables you to select the best distribution for modeling data. It helps you in identifying which is the best function that best describes your data. Minitab recognizes Text, Numeric and date/time. 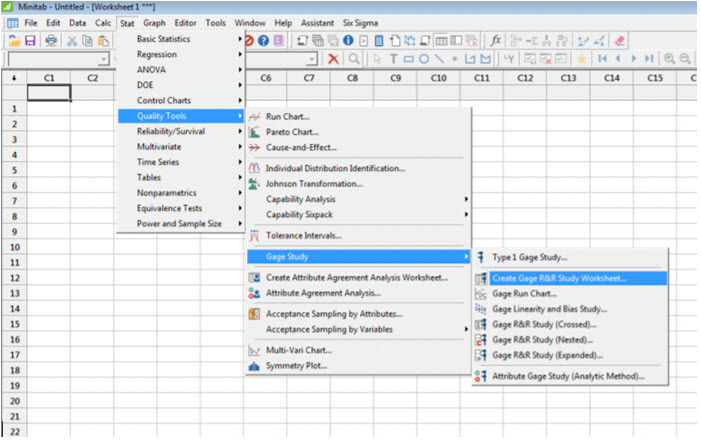 When data is entered in Minitab, it automatically recognizes its data type. Although we have the flexibility to change the data type. Numerical: To perform all statistical calculation, data column needs to be in numerical format. Date/Time: Minitab recognizes Date and Time Data Types, but it stores them internally as a number. 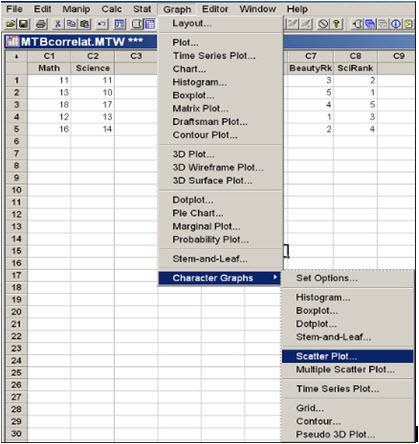 First, you need to put your data values in one of the columns of Minitab worksheet. Put a variable name in the gray box. Click on “Stat”, then click on “Basic Statistics”, and then click on “Display Descriptive Statistics”. 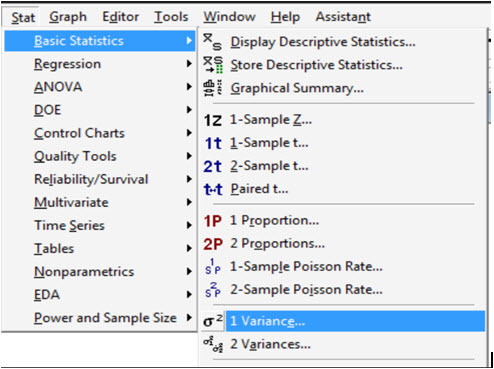 Choose variable for which you want the basic statistics. Click on “Select”. Click on the “Statistics” box, then check the box next to each statistic you want to see. Click on “OK” in that window, then click on “OK” in the next window. 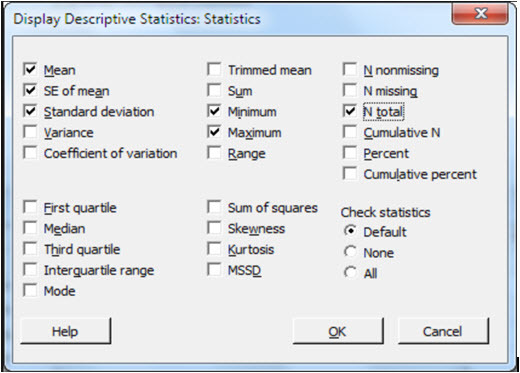 The values of all the statistics you selected should appear in the Session window. In short, Minitab helps Organization and institutions to visualize and analyze the trend to solve certain problems by bringing valuable insights from the data, in a quick and effective way.